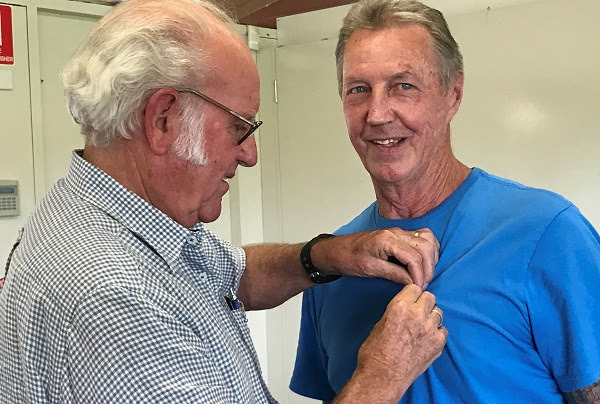 Fitzroy has seven new life members, who were inducted on Sunday afternoon at the club’s AGM. 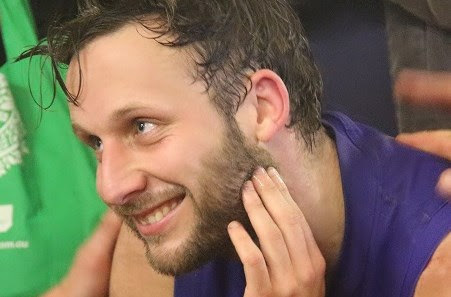 Sam Baker – 10 years as a player. Grant Hammond, who had been working on the Board as Director of Coaching and Director of Sponsorship, spoke on behalf of the new life members. He started by thanking Fitzroy Company Secretary Bill Atherton for his passion and friendship over the years. He promised we would see him at Fitzroy games and events next year. We love you too Grant! Thank you for everything. The life members will be acknowledged again at the season launch, which will be held in late March. Pictured are Sam Baker and Rory Angiolella with Kerry Winchester, his mother and our incredibly dedicated volunteer, on the night he won the GT Moore medal for the Premier B best and fairest player in 2015. 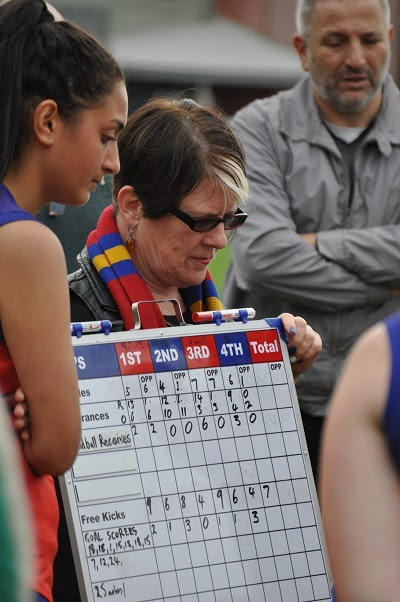 Fitzroy President Joan Eddy has been returned for her ninth year as President of the Fitzroy Football Club on Sunday. The Board voted unanimously to return Joan to the position. With the retirement of Grant Hammond, the Reds connection continues with Michael Smale elected Vice President for 2018, along with his role as Treasurer. Sharon Torney was also returned as Club Secretary. The AGM reappointed Sharon and Gabrielle Murphy as Directors and also installed new Director Tony Mazoski who is a long-time passionate Fitzroy fan and brings a business and sports admin background. The club is still seeking additional Directors with expertise in business development, sponsorship, fundraising and/or events management. We are also seeking a Coaching Director, which is not a Board position. The Fitzroy Football Club has posted a loss for the first time in three years. The loss was reported at the Club’s 133rd AGM on Sunday at the clubrooms at BSO. The Club announced an operating loss of just over $11,000 driven by increased operating costs from an extra team, the entry of the women’s teams into the VAFA and room hire fees, combined with shortfalls in some key fundraising activities (such as the major raffle) and sponsorship payments which didn’t eventuate. As costs continue to increase, the Board is exploring opportunities to increase our income streams in season 2018 but overall the Club’s finances remain in good shape with just over $40,000 in the bank. President Joan Eddy provided a report on the club’s wide array of activities for the year and the report can be accessed here. As part of that report, she indicated the Board is in the process of developing its new strategic plan for the next five years. We will bring you more on that plan as it progresses. Senior Coach Luke Mahoney’s coaching panel is taking shape with a familiar name making a very welcome return. Michael Pickering will be the Senior Assistant Coach in 2018 and Sam Bishop has come across from Luke’s former club to take on the Development Coaching role at Fitzroy. 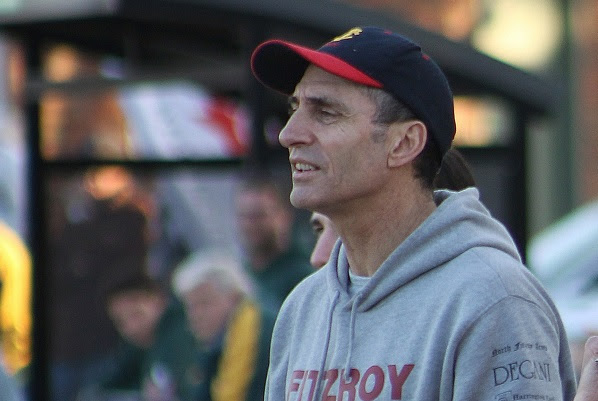 As most of you will know, Michael, who had a lengthy AFL playing career with Richmond, coached the Fitzroy senior team from 2012 to 2016, successfully taking the team into the Premier C grand final and into Premier B. More on Michael’s career can be found here. 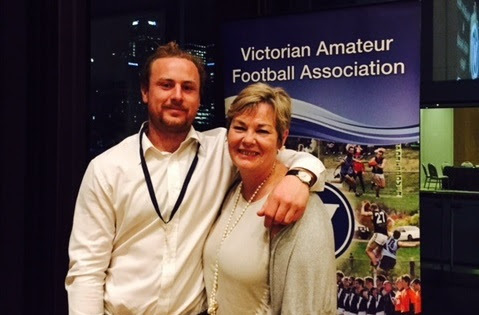 Sam was an assistant coach at Brunswick NOBSPC with Luke, played at SKOB and Strathmore and was with Kew AFC as a playing assistant coach for four seasons. During that time, Sam played in three premierships which saw their dramatic rise from D3 to Premier C.
In more good news, 2017 Assistant Coach, Bernie Carter, has been successful in his application to take on the Reserves coaching role, after Richard Willingham stepped down. And Simon Jackson has been appointed coach of the Women’s 2 team. With a strong background in strength and conditioning, Simon will be a great addition to the team. Simon played football for 16 years, was playing Reserves Coach with Old Carey and played in three premierships with Old Carey and Old Camberwell. 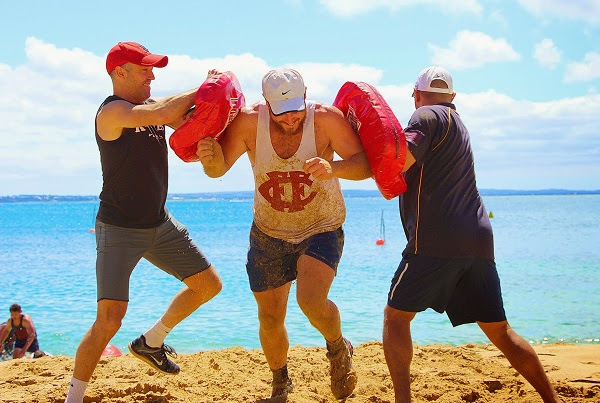 Last season he was the Strength and Conditioning Coach with the University of Melbourne MUGARS and has been in similar position at TAC club Sandringham Dragons. We will bring you more stories on the new coaches early in the new year. The club is still recruiting for an Under 19 (2) coach. Fitzroy Junior Football Club Colts players considering playing football with the senior club, and their parents, met with coaches, players and board members recently at the Fitzroy Victoria Bowls Club to talk all things Fitzroy. 20 players and family members heard from Under 19(1) Coach, Greg Coleman, Senior Coach Luke Mahoney, President Joan Eddy, Director Gabrielle Murphy and senior players Rory Angiolella, Tom Cheshire and Ted Clayton. 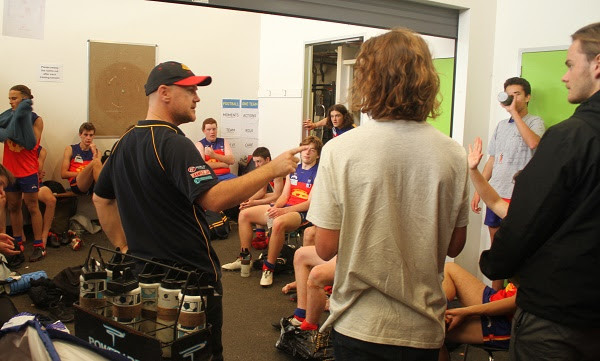 The session was an important opportunity for Fitzroy to outline the path to senior football and let the players and parents know about the different aspects of the club’s football and non-football activities. Thank you to the players and parents who attended and to Matt O’Connor and the Junior Club for helping organise this session, which demonstrates the growing links between the clubs. A huge thank you also to Kerry for running the BBQ afterwards. Pre-season is already underway for all teams, with the club being lucky enough to have access to Victoria Park on Monday nights until Christmas. The Senior squad has had its first few sessions under coach Luke Mahoney. We are also working to recruit more senior men (18-28), so if you know players in the local area with senior football experience looking for a game, they should contact the club by emailing Director Football Operations, Sharon Torney, in the first instance (secretary@fitzroyfc.com.au). We are already facing another embarrassment of riches with our numbers for the women’s squad, which is a great sign for the future. Details of the pre-season training schedule are available on the club’s website. Resume training Monday 22 January at Olney Oval at 6.20 p.m. The draw is likely to be released next week, so keep an eye on Facebook for an announcement. 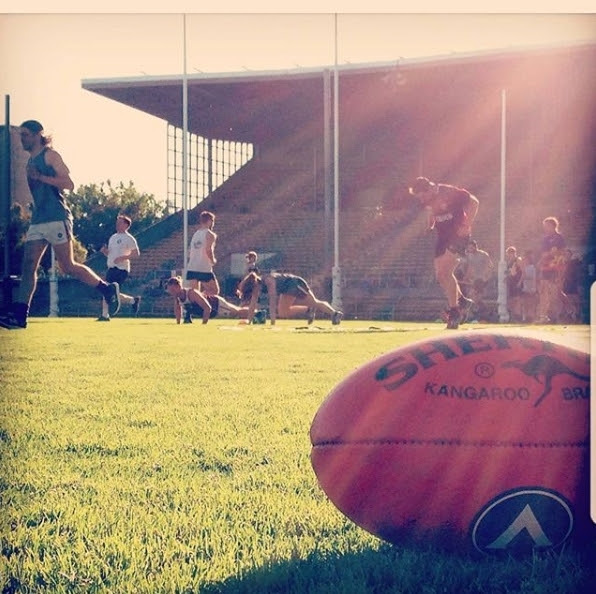 And if you’d like to see some images from pre-season training, get on board with our Instagram account (fitzroy_fc) and follow along to see what the players are up to, brought to you courtesy of some of our players, starting with senior player Nathan Jumeau. The club and its volunteers have been acknowledged with nine shortlisted entries in the VAFA’s first Media Awards; the most of any club. Club photographer, Phyllis Quealy leads all comers, with two finalists in the Action photography category and two in the Characters of the Game category. 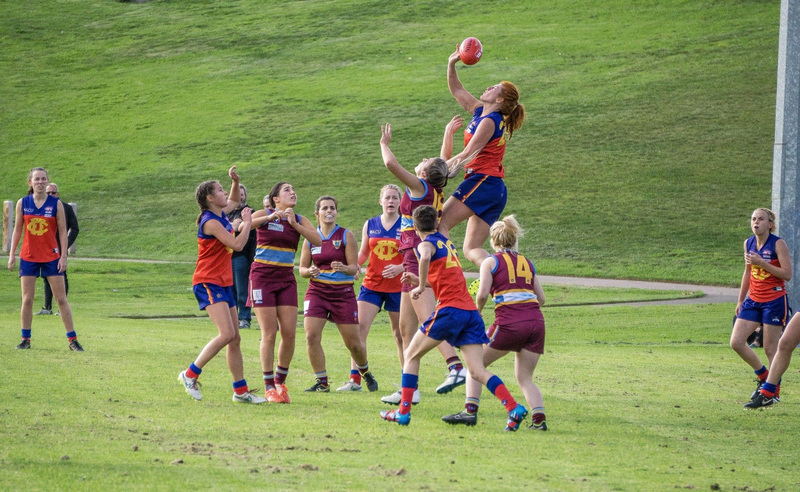 Don Gogerly, father of Erin, is on the shortlist with his photo of Tash Ross-Harris flying high above everyone else on the field. Suzanne Madeley and Gabrielle Murphy put together a beautiful story on Suzanne’s family and growing up loving Fitzroy, which was seen by over 4700 on Facebook when we published it in June. It is one of the feature or news stories in the final shortlist, along with stories by Emily Andersen on the Women’s 2 New York Connection featuring player Perri Quattrociocchi and team manager Yadira Perez Hazel, a story by Gabrielle Murphy on long-serving club umpire Lloyd Browne and Kate Nolan’s piece on Rosso finding out about her best and fairest win after her trek along the Camino de Santiago. Congratulations to all nominees. It’s a huge team effort to bring the Red Roy, web and social media content together each week of the season and we are lucky to have some outstanding contributors. The winners will be announced on Monday night after the VAFA AGM. If you would like to be involved in writing for the Red Roy next year, please contact Director Communications, Kate Nolan. Thank you to everyone who responded to the Fitzroy communications and events survey. We had over 150 responses and have some pretty good feedback. The Red Roy is the club’s most popular communication channel with respondents, with 77 per cent reading it regularly and 86 per cent reading it every time it comes out. But readers are keen to see some more player profiles and details of the club’s history, which we will aim to bring you throughout the year. We’ll be planning our events over the coming months with the aim of releasing plenty of details before the season starts. The first event for 2018 will be the season launch, which has been booked in for Saturday 23 March at the Fitzroy Victoria Bowls Club. The winner of the Fitzroy prize is Jim Kroussov; Jim we’ll be in touch!